How about that, I’m straight in with a sneak preview post for 2019! This doesn’t mean I’ll be more active on here, or on social media, however. I still think we should all do less of that! 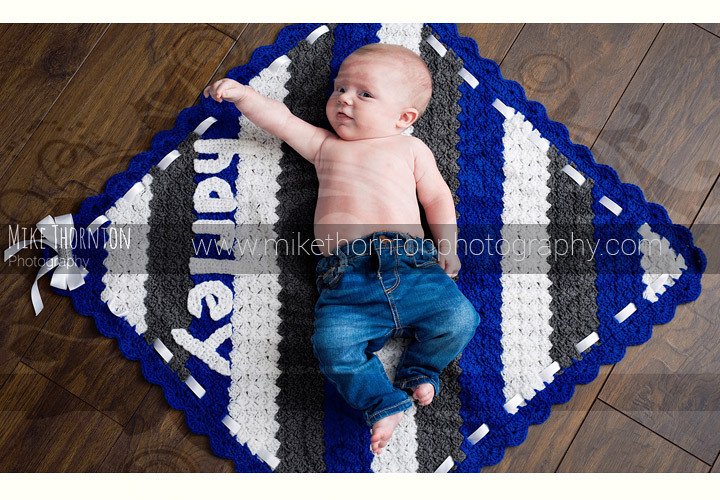 This session was the first of the year for me and for a family I have photographed a lot. This is their baby number 3! I trust that everyone had a great Christmas period, managed a bit of a break and are braced for whatever 2019 throws at us all. Happy New Year! Although I’m not really using much web and social media to promote my business, I’m still here! I’m super busy over at StillVision Photography and the studio is almost fully booked up for Christmas. I have just a few slots left in the last week of November and first week of December. Any takers? 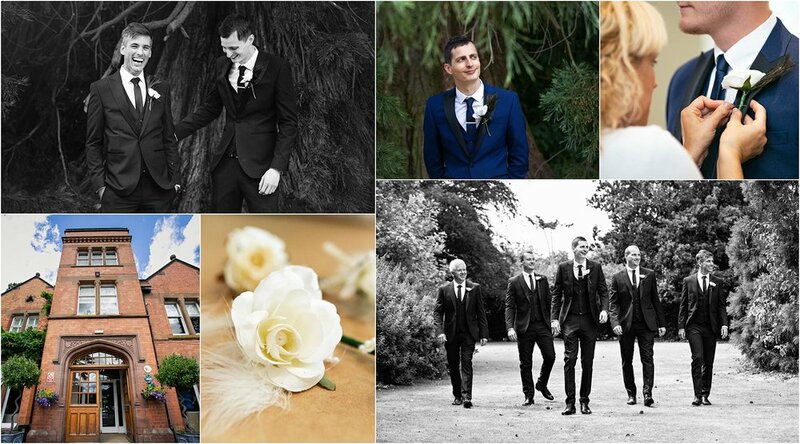 These sneak preview images are of a gaggle I photograph regularly. I also found out during their session that number 4 is on the way next year. The gaggle is about to get bigger! A SECOND WEDDING POST OF 2018! 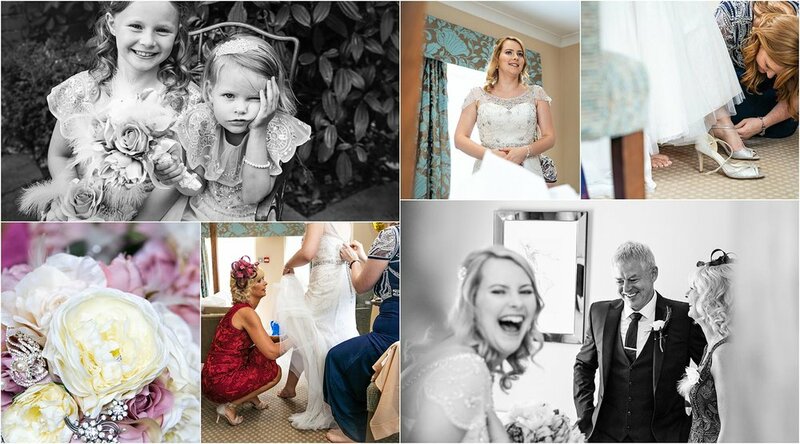 My First Wedding Post of the Year! Returning Once More to the Blog! I've been very on-off with what and when I post sneak previews of this year, so here's another first in a while post! This morning I was with 14 month old Grayson who was a combination of almost every baby I've ever met: Shy, clingy, smiley and crazy, all at once! 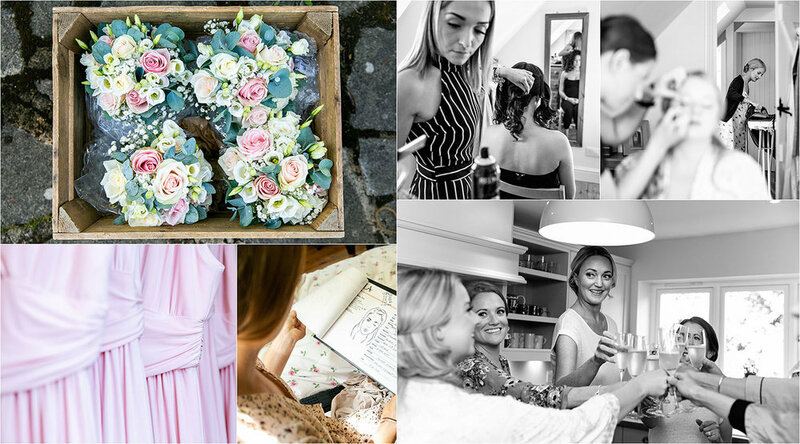 I've had a bit of a pause with social media and blogging and all that time sapping IT stuff that comes with running a business, but doesn't necessarily result in me booking work... But I've made an exception today! Let me introduce baby Jake. What a cutie! Can you get any Cuter? 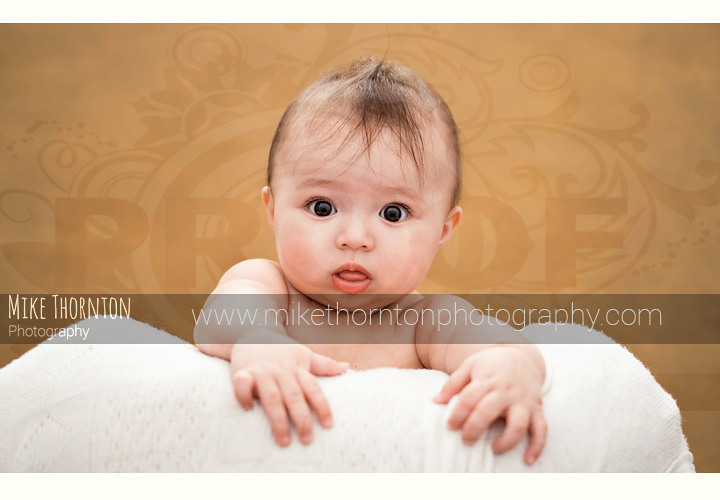 Here's another baby from my week in the studio. This little one was a real sweety. She was another smile-shy baby (although I got a cracker right at the end), but with those big eyes and chubby cheeks, I'm not sure it matters right?! Today was one of those days where I had to work hard for the smiles! Luckily, both of today's babies were super cute smiling or not, so it didn't really matter. That said, I feel that I could do with a lie down. 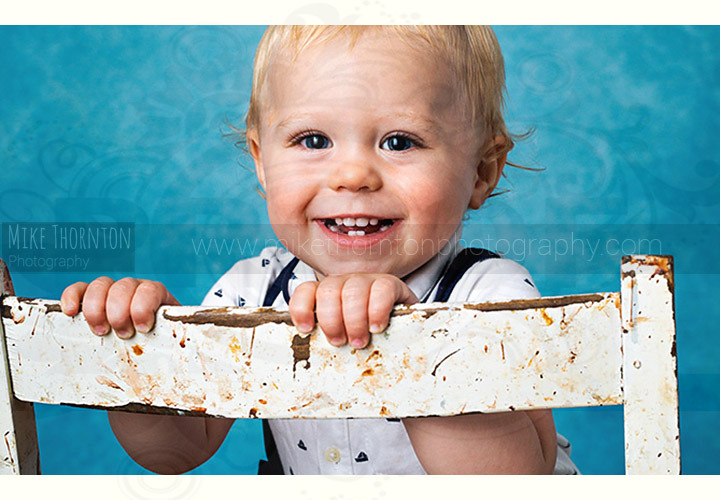 This little guy found his session super interesting and offered up the rarest of smiles. He wasn't upset, just interested. He'll definitely be a clever one! 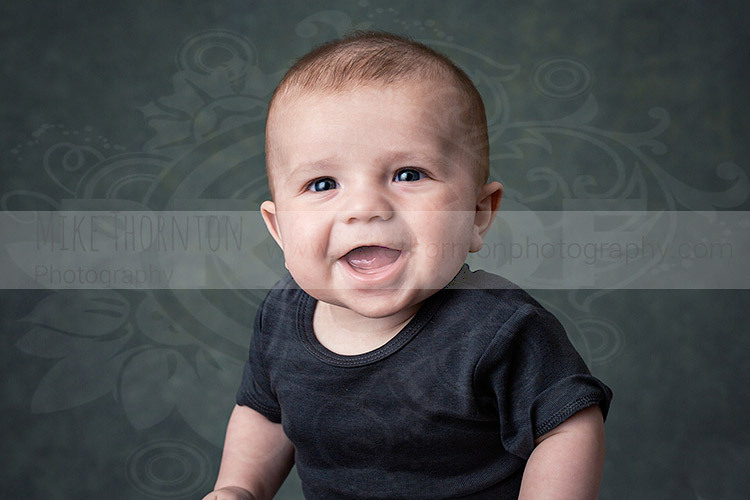 Charming Babies are my Favourite! What a Smiley Little Show-off! Yesterday I had the pleasure of meeting a very polite and eloquent three year old. She was very chatty, super confident and seemed to enjoy the experience of being photographed a lot. You can see that from these studio session highlights can't you?! Last week I met this brother-sister duo who came to the studio with a bit of a 'previous photographer' story. Suffice to say, they had not had a great experience. This time around, everything seemed to go swimmingly! They were full of smiles and I'd say that they both had a great time! Call me the baby whisperer?! Yesterday I met this bundle of madness who came to see me in the studio with her Mummy and Daddy! She was a super expressive little baby and I think she showed me her entire repertoire in between bouts of fidgeting. That said, she stayed still just about long enough to get some family photos (holding on to Daddy's nose, obviously! ).